Foreign Affairs Minister Chrystia Freeland told an interviewer in Davos this week that if the U.S. drops its steel and aluminum tariffs, Canada will too, "30 seconds later." But until that happens, the tariffs remain lucrative: They raked in $839 million in the six months leading up to Dec. 31. Foreign Affairs Minister Chrystia Freeland told an interviewer in Davos this week that once the U.S. drops its steel and aluminum tariffs, Canada will too, "30 seconds later." Canada didn't start this tariff spat, and from the prime minister on down every Canadian official says he or she wishes it would end. The tariffs on both sides of the border have disrupted supply chains and added extra costs for consumers and businesses across a wide range of industries. And this figure doesn't include the 25 per cent surtax now collected on seven categories of steel imports from countries beyond the U.S. This "emergency safeguards" surtax is intended to prevent cheap foreign steel displaced from the U.S. market from disrupting supply chains in Canada. Finance Canada told CBC News Friday that it's too early to report how much revenue the safeguards are bringing in. 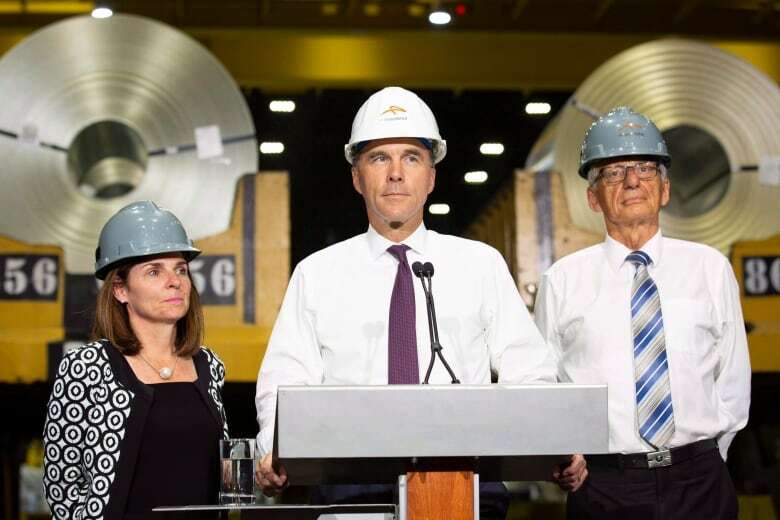 Hearings on the merits of extending these safeguards beyond the 200-day period announced by Morneau in October wrapped up at the Canadian International Trade Tribunal on Thursday afternoon, with domestic steel producers arguing the safeguards were necessary to prevent a surge of foreign steel, while customers and foreign suppliers questioned whether there's solid evidence that these imports represent a genuine threat. Six months later, only a small amount of that aid package has been allocated. And because much of it takes the form of repayable financing, over the long term the cost to the government may not be anywhere near the value of the tariff revenue it's raking in. 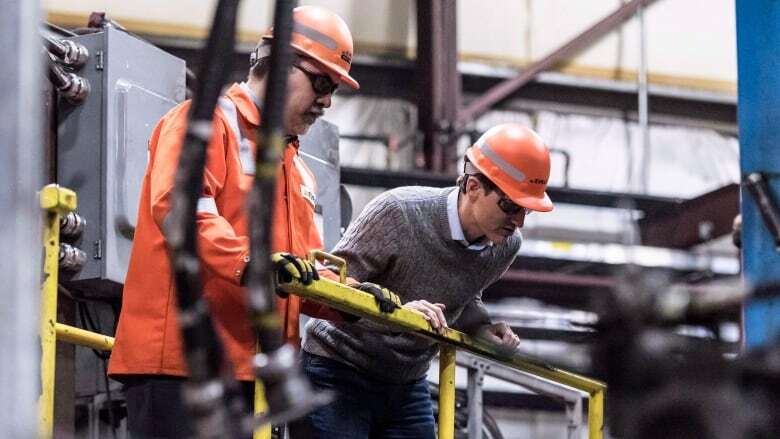 $250 million from the Strategic Innovation Fund administered by Innovation, Science and Economic Development (ISED) Canada, set aside for steel or aluminum companies that need funding for new capital expenditures or other "innovation investments." $900 million in financing from Export Development Canada, available to provide extra support for companies' working capital and help mitigate higher-risk investments. While that falls far short of the $900 million that was announced, spokesperson Jessica Draker wrote that "we expect continued uptake in the short term in light of the trade climate." Because the services provided by these Crown corporations can be loans or insurance products provided on commercial terms, they aren't announced by press release or disclosed publicly in detail, making it difficult to track exactly who is benefiting from the federal aid package or to what extent. The remainder of the $2-billion package wasn't directed at domestic producers. Global Affairs Canada's trade commissioner service is getting $50 million in new funding. other exceptional circumstances that risk "severe adverse impacts" on Canada's economy. A smaller amount — $18.5 million — is available to be waived under the Canada Border Services Agency's duty deferral program. "Assessments are ongoing in regard to applications for surtax relief," a spokesman for Finance Canada wrote CBC News this week. Affected companies can also apply for exemptions from the American tariffs. In its first few months, the U.S. exemption process was called "arbitrary" and "screwed-up" as American steel companies lobbied the U.S. Commerce Department to reject certain exemption requests.